The safety and security requirements in healthcare are unique. Hospitals are dynamic, stressful environments, where there is a high volume of people circulating, staff trying to do their jobs and expensive equipment that needs to be in the right place at the right time. In common with any other public space, you will find CCTV cameras, fire alarms and voice alarms as well as access control systems. 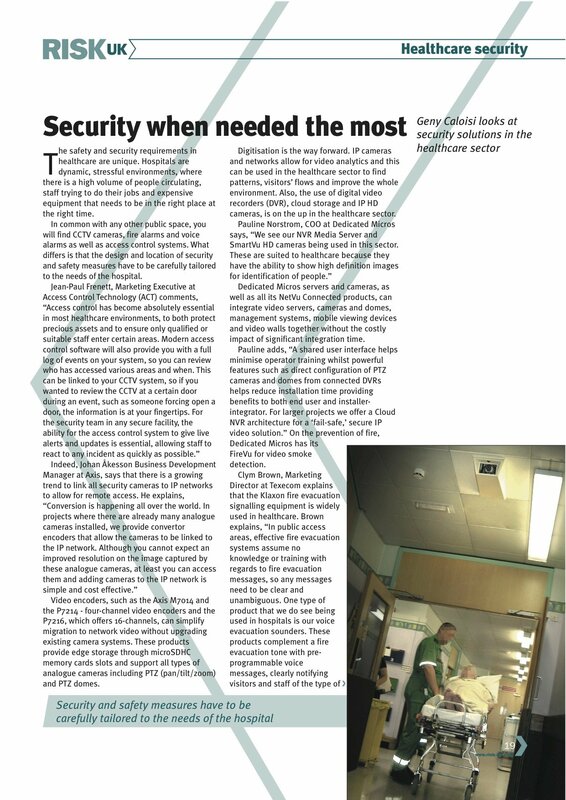 What differs is that the design and location of security and safety measures have to be carefully tailored to the needs of the hospital.